Primary spontaneous pneumothorax (PSP) is a relatively common clinical entity with high incidence in the young population. Video-Assisted Thoracic Surgery (VATS) bullectomy and chemical or mechanical pleurodesis are two primary modalities of treatment. There has been much debate on the ideal mode of pleurodesis, but the literature on surgical outcomes comparing VATS pleurectomy with talc pleurodesis has been inconclusive. 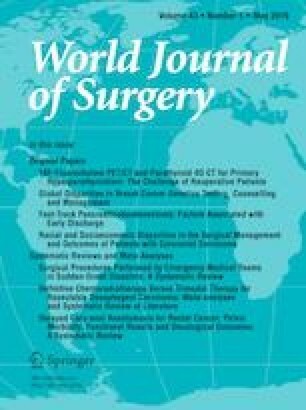 We performed a single-centre 5-year observational retrospective study of 202 patients who underwent VATS bullectomy with talc pleurodesis or parietal pleurectomy. There were no significant differences in the demographics, pre-operative and intra-operative characteristics in both groups. Recurrence of pneumothorax, chest tube duration and hospital stay were similar in both groups. However, talc pleurodesis had a shorter operative time compared to pleurectomy. Our study demonstrated comparable outcomes between talc pleurodesis and pleurectomy following VATS bullectomy for patients with PSP. All authors have no conflicts of interest to disclose.